Our client is a leading provider of global corporate travel management services and is listed in the Top 10 on the Travel Weekly Power List. The client’s goal was to increase customer loyalty and network with their own clients/prospects during an evening event at the annual Global Business Travel Association (GBTA) show. Creative Group was tasked with designing an After Party that would inspire participant’s interest, encouraging them to attend and engage with our client’s brand and services. Many show exhibitors sponsor evening events so it was especially important to make this the must-attend. Having made a significant number of acquisitions in the past three years, our client wanted to “illuminate” their clients about their growth and full portfolio of brands. This year’s GBTA show would be the first time that they brought together and showcased their collection of unique brands and introduced them to clients and prospects. And, what better way to bring people together than with a glowing After Party event. The idea was to create a relaxed rooftop-California vibe with glow lighting, chill décor, and live music and entertainment – all conducive for conversations and connections. To ensure a good turnout, several engaging digital communications were sent to encourage attendance. Participants received a Save-the-Date, along with the actual invitation, two reminder emails, two additional emails to those that had registered, a text message reminder one-hour prior, and a post-event thank you. The timing and varied media used helped increase participant engagement. A warm evening emerged as the perfect backdrop for the poolside event. The rooftop venue was lit with floating orbs in the pool and a DJ was on hand to create the perfect chill vibe to get the party started. To serve up a casual, relaxed feel, passed appetizers were offered to guests and comfortable lounge furniture was grouped in small, intimate gatherings for easy conversation. The night sky was punctuated by brilliant glow dancers in black body suits who performed with lighted poi fans and hula hoops. 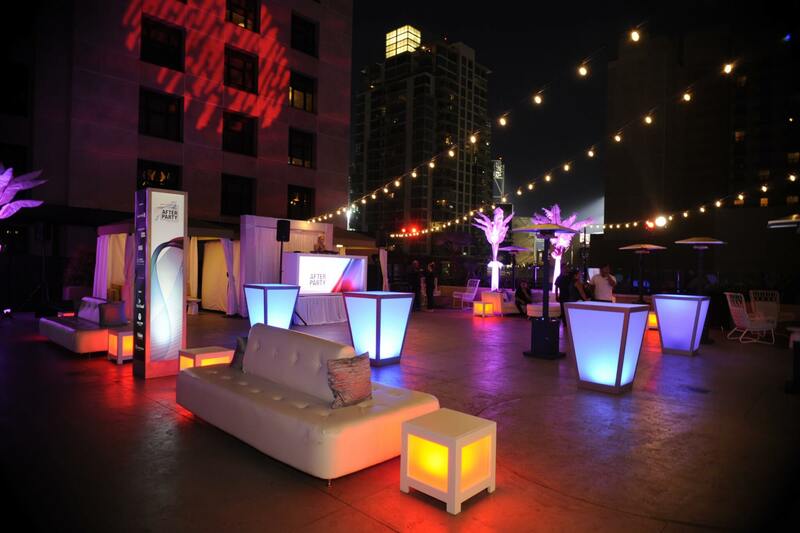 The venue featured our client’s and their sponsor’s branding – with star columns and an illume bar, along with wall gobos. 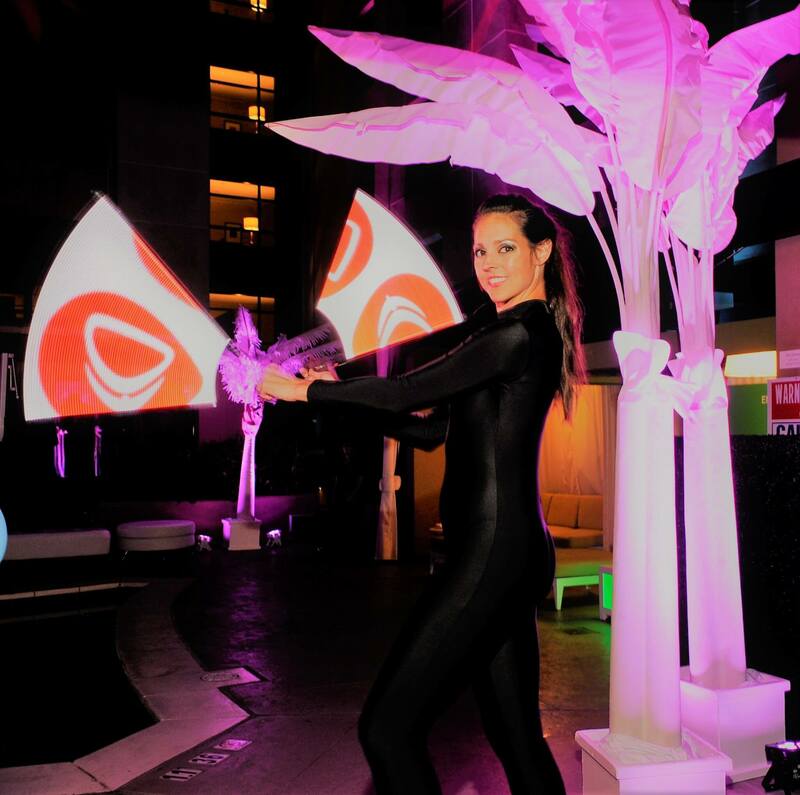 To keep the memories flowing long after the event ended, a boomerang photo booth gave party goers the chance to take and share their favorite shots of the night on social media. 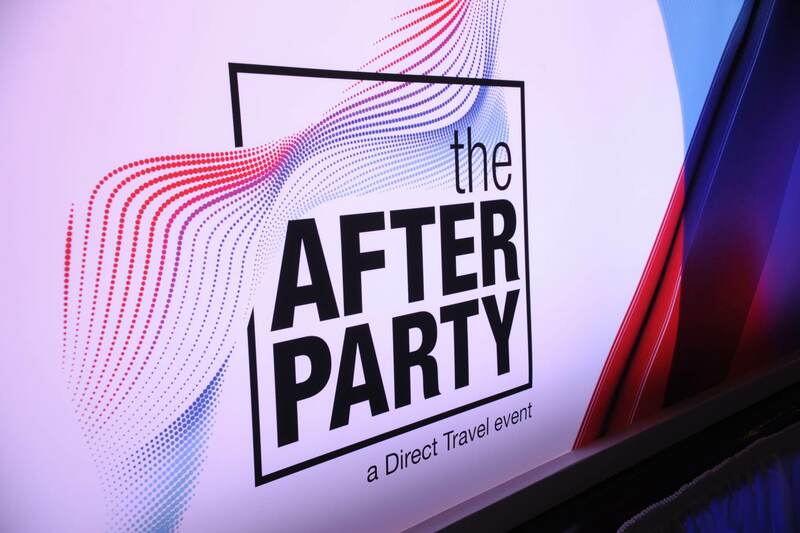 The After Party event played a key role in connecting our client with its clients, prospects, and suppliers outside the busy show floor for networking and learning. They exceeded their goal with just over 400 people in attendance, which was a 10% year over year increase. Thirty percent of the audience were prospective clients with the remaining being current clients and suppliers. And, 91% of all participants gave “glowing” reviews of very good/excellent in post-event evaluations. Many positive comments were received related to the rooftop chill vibe and the ability to move around and network with others in a relaxed, comfortable way. The event enhanced brand awareness and overall connection to our client as demonstrated by the final communication – the post-event thank you, that had a 69% open rate and a 75% click through rate.